Keep up with what is going on, what we've been up to and also interesting news and articles from elsewhere on food, farming and life on our blog roll. A great big hearty family meal for these colder evenings. 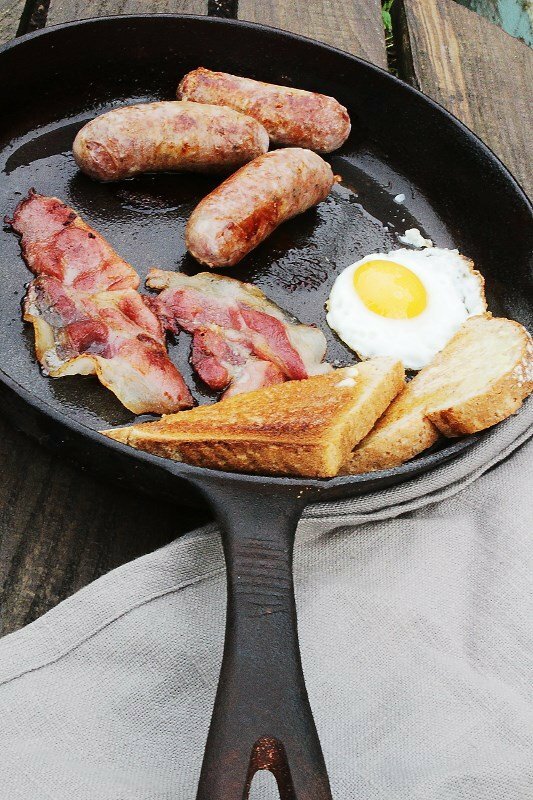 Add a little olive oil to a large pan over a medium heat and then add 100g of our ‘Toasted Black Pepper, Honey and Chilli’ bacon chopped across the rashers. Once the bacon starts to release some fat add in a chopped onion and cook until it starts to soften then add 1kg (two packs) of our ‘Chorizo Fresco’ cut into inch long pieces (and remember, with this variety, we are talking Spanish Choh/REE/thoh). When the sausage has begun to take on a little colour and the lovely paprika oils are flowing add in approx 600g of coarsely grated carrot, a bay leaf and a worthwhile amount of fresh rosemary. Cover the pot for about 5 minutes so it can steam through. Take off the lid and add 250ml of a decent white wine (drier the better) and 500ml of a good stock, turn up the heat to boil and reduce wine by a half, then add four tins of plum tomatoes (chopped is good) with their juice, lower the heat right down and either partially cover or add a paper cartouche and simmer very gently for around 4 hours (all afternoon is good). Around 20-25 minutes before you want to eat its good to think about the polenta. Bring 2 litres of stock to a rolling boil in a suitable pot and then stir in 330g of Polenta and let it bubble away on a medium heat, stirring it often, for around 20 minutes so that it becomes thick but still moist. At this point whisk in 125ml extra virgin olive oil and around 100-150g of parmesan or pecorino. 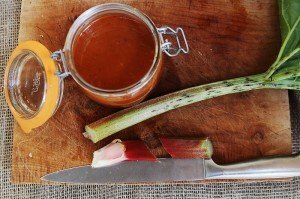 Around 10 minutes before eating sauté two bulbs of medium sliced fennel in a little oil until beginning to crisp on the outer edges and then drain and stir this into your sausage braise to give it some great flavour and texture. Finally, season the creamy Polenta to taste and serve topped with the thick Chorizo sauce. Call it something like ‘Estivo ragu di Maiale’? 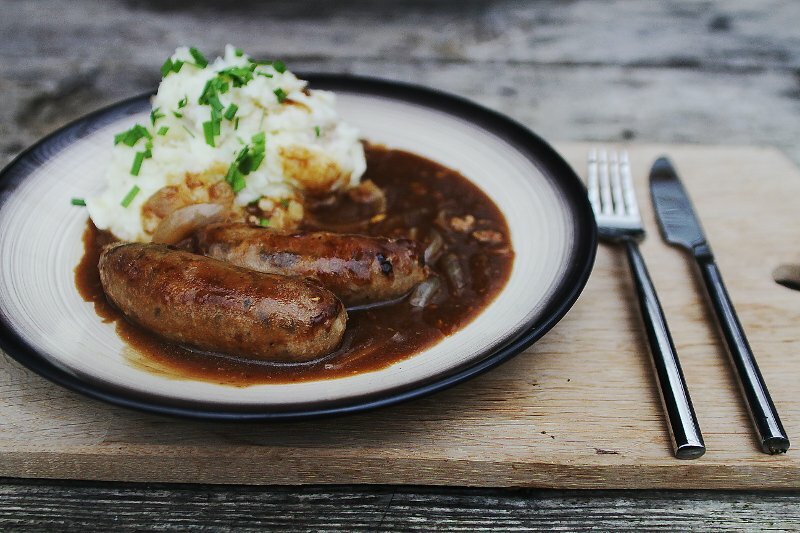 Remember, the great thing about all of our sausages in recipes like this is that they are already a lovely little bundle of herbs and spices so it minimises the other ingredients you need for a wonderful flavour to the finished dish. Heat a little olive oil in a deep pan over medium-high heat. Add plenty of crushed garlic, a large onion, a handful of basil and cook for about 5 minutes. Add the Siciliano sausages (either whole or preferably sliced on the oblique) and cook until lightly browned all over, stirring a lot for about 10 minutes until the sausages are really well browned but not overdone. Add a glass of dry white wine, reduce slightly and then add about 10 chopped ripe (or decent canned) plum tomatoes, a good pinch each of salt and black pepper. Cover and cook over a fairly low heat for about 45 mins to an hour (lowering heat and adding a little more liquid if it starts to look dry at all). Meanwhile now, cook your chosen pasta (I think bucatini would be ideal here but whatever you want will do) in well salted water until al dente. Keep back a little of the pasta water when you drain it. Add the pasta and reserved liquid to the sauce pan, up the heat to high briefly to reduce the sauce and get it coating the pasta. A little olive oil, a grate or two of lemon zest and finely grated pecorino to finish. As you have apparently visited our website you may well be aware that we take our sausages quite seriously! We regularly make over 120 varieties and, to be honest, that number just keeps growing as we experiment ourselves and continue to discover new delights from far flung or little known parts of the world where just about every culture dabbles in the magic that comes with sticking meats, spices, herbs and other flavourful goodies into a perfect little parcel. 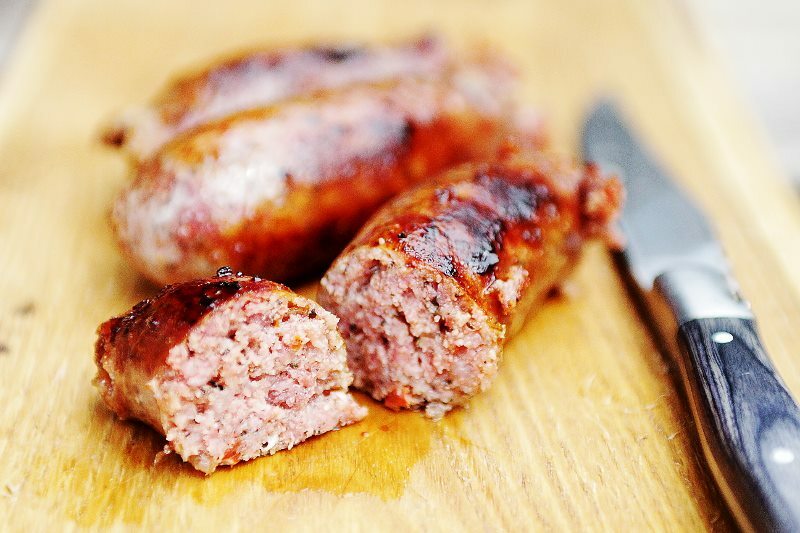 Given that we go to so much effort to get everything in that sausage just right we thought we should also go to the effort of explaining just how important it is to cook them properly to keep them juicy, flavourful and so that you can enjoy them at their very best. Now we are not talking here about recipes, more of that to come, but suffice to say there is far more to sausages than just frying them in a pan. Whole, sliced, crumbled. Poached, grilled, fried, smoked, casseroled. 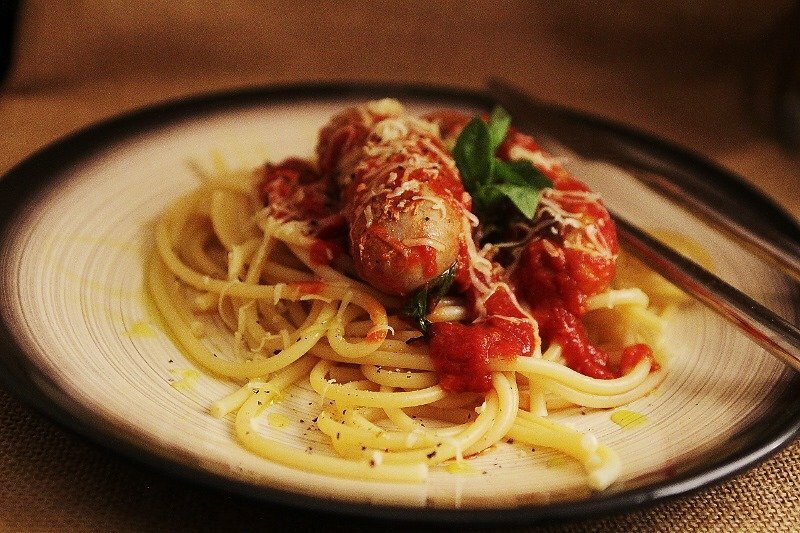 There are a million ideal ways to introduce sausages to a meal. 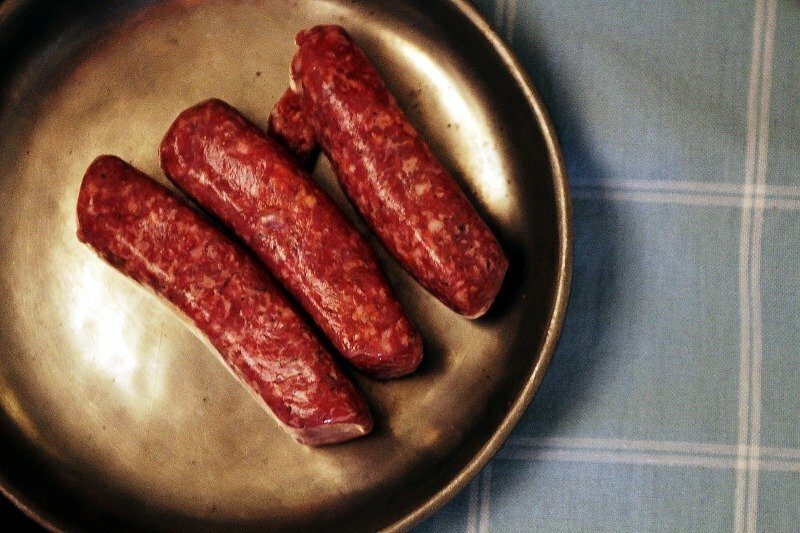 With a sauce, in a sauce, with rice dishes, pasta dishes, Bar-B-Q, stews, bollito misto, soups, choucroute, tagines, hot dogs, pozole, toad in the hole – you name it, there is always room for the right sausage! But, what we are talking about here is the basic, fundamental principles of cooking the sausages, either to eat on their own or before introducing them to their accompaniment whatever it may be. Whats in a sausage and why is that so great! When you eat pork, or any meat for that matter, you always long for it it be perfectly seasoned, juicy, tender and, important yet so rare, even throughout in all these respects when its finished cooking. That is what is so great about sausages – when made and cooked right they just tick all of these boxes, every time. Even better is that they come in great little packages, a multitude of flavours and, given all the effort and care, not to mention prime naturally raised meat that goes into ours, they are also pretty unbeatable value. We need to be clear about the ‘wrong’ way to cook a sausage. Unfortunately this is a common method and can often lead to disappointing, or at least less than optimum, results. Your sausage, just as with other cuts of meat, will shrink and contract in direct relation to the amount of heat it is subjected to and the amount of time it is exposed to that heat. If you cook a sausage over a high heat it will, understandably, shrink considerably, drying out the exterior or even splitting whilst potentially leaving the centre uncooked. Too high a temperature will also liquify the fat content that has been so carefully mixed into your sausage to keep it moist and juicy. If this liquifies and leaks out into the pan, onto the grill or elsewhere you will have a dry and crumbly result without all that flavour we went to such trouble to get in there for you. Our sausages are made with a careful mix of lean and fat to provide a moist, flavourful and tender treat (think of of it like a beautifully marbled steak) perfectly consistent and with an even amount of all of its ingredients spread throughout. Especially important among these are the fat and the salt. The fat gives that ‘juicy’ bite. The total fat content in our sausages varies from recipe to recipe but is generally around 25% to 30% and this ensures they are tasty, rich and moist (and remember with our pastured meats this is good healthy fat too!). The salt helps give the sausage its perfect texture as well as seasoning. It is the salt that, when mixed with the lean meat, draws out the myosin proteins which in turn create the right ‘bind’ for the mix and helps trap that all important fat content helping keep the cooked sausage moist as this evenly distributed salt content means that, when cooked correctly, it can retain moisture better than any chop or steak could ever hope to. At 140°F (60°C): At this temperature for around 10-12 mins the meat and fat inside a sausage are cooked through and opaque. Some shrinkage may well have occurred, but at this point it is the meats themselves that are holding in the juices not the casing. Above 155°F (68.3 °C): The Proteins will go on shrinking and shrivelling, eventually squeezing out that juice and fat meaning that it can no longer be held. Eventually the heat will just wring all that is good out of that sausage and it will either pool under the skin or leak away for good. The simplest solution to all of this is to cook a sausage gently over low to moderate heat, whether on a grill, in a pan or an oven. Keep moving them so that they come up to temp gradually and colour up evenly as they do so until the exterior ideally reaches a perfect slightly crisp brown just as the sausage reaches 150ºF internal temp. Using this method, you can get an evenly cooked sausage with plenty of flavour and will soon learn how to get it spot on every time. As with all things patience is the key. Another solution is much more reliable, and the one we recommended to our trade customers: simmer or poach them first. This can either be achieved by covering the sausages in cold water, stock or any other cooking liquid, such as beer, whether in a pan on the hob or a tin foil dish on the BBQ grill, and slowly bringing them up to 145-150°F. You can get them cooked perfectly evenly from edge to edge this way. Then all they need is a quick flash, over a higher heat, to colour them up and you’re done. This method also works really well as the basis for getting your meal started, so as well as a little ‘braising liquid’ you could use onions or peppers, tomatoes or sauerkraut (basically whatever would go well with what you are cooking) along with accompaniments like a little mustard, herbs etc to help with the simmering and then this means that the rest of a nice quick meal is more or less ready by the time you have whipped the sausages out and given them some higher heat for a matter of moments to get a little colour and crust. Cook gently and only to a max 145-150ºF over a low to moderate heat or with the simmer then brown method. The main benefit from either of the methods we recommend is that you will lose only about half of the moisture when compared to a fast high cook approach and this means immeasurably better results, every time. 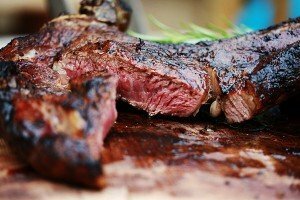 Effectively what you are looking for is the classic slow start and then sear finish that you would often use for other meats which gives you evenly cooked meat with a lovely caramelised exterior. So now you know! Sorry for going on a bit but we just want you to enjoy eating our sausages as much as we enjoy making them for you. We are very pleased to have the wonderful photography of Marcus Bawdon bringing our foods in all their glory to the website! It will be a steady process with so many different items to shoot, cook, shoot again (and eat!) but we hope you will all enjoy seeing the colour and textures of all of our produce gradually fill the pages of the webshop. We also hope it will make you all as hungry as it does us!! 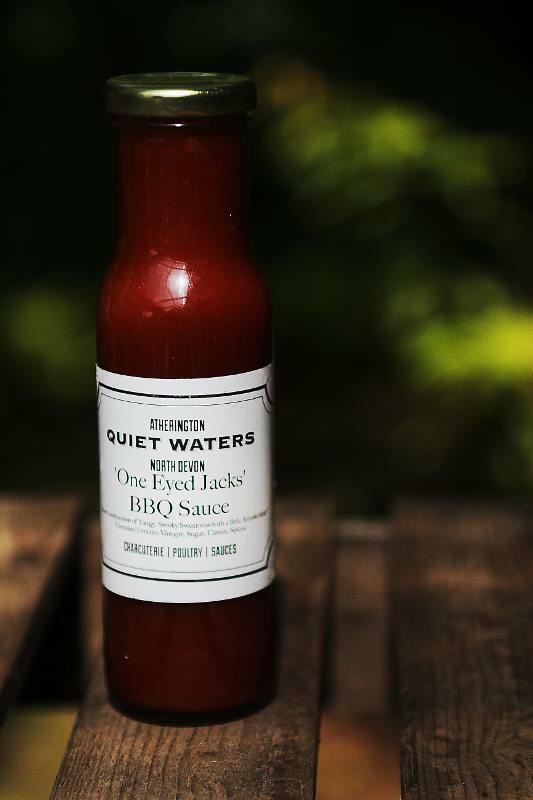 © Quiet Waters 2019  All Rights Reserved.